Kuthiramalika is stuated in Thiruvananthapuram district. It is also called as Puthen malika palace. This palace was constructed in the year 1840 by Swathi Thirunal Rama Varma on the southern side of Padmanabha swami temple. It got its name Kuthiramalika due to the design of 122 horses carved in wood which supports the roof of the palace. The palace has sloping roofs, verandas, courtyard etc which are built in the traditional Kerala style. This palace was made of teak, rosewood, granite and marble. 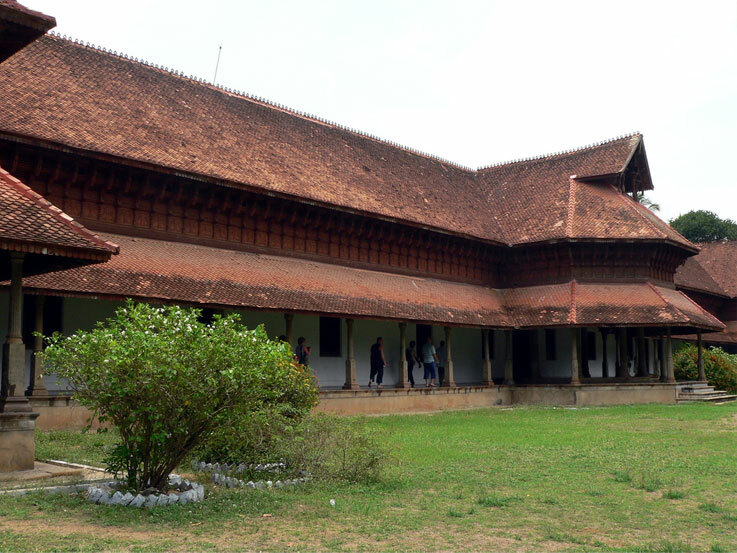 A portion of the palace is changed into a museum which has the assets once possessed by the Travancore royal family. The museum was set up with the aim of promoting the traditional art forms of India. The articles include chandeliers, paintings, musical instruments, furniture etc. Kathakali mannequins are kept here for display and to the side of it lies the ivory cradles. One of the main attractions here are the 2 royal thrones of which one is made of ivory and the other is made of crystal. There is a large urn kept in the audience chamber which was once used for keeping mango pickles. There is also a musical tree which makes the seven swaras when tapped. The famous music festival that is conducted yearly called as the Swathi Sangeethotsavam is held from the courtyard of Kuthiramalika.